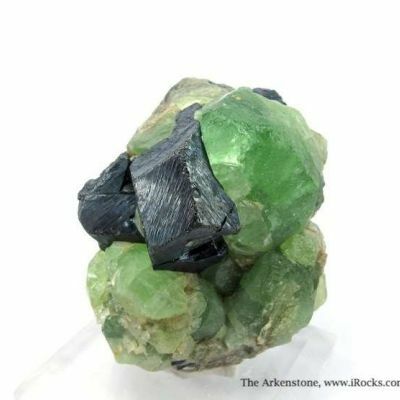 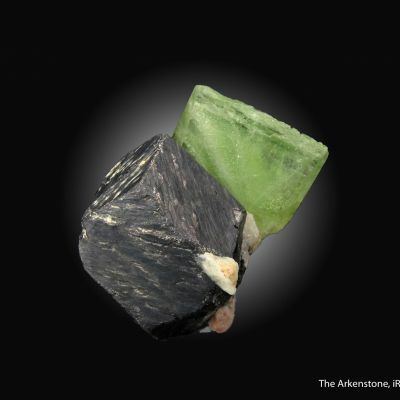 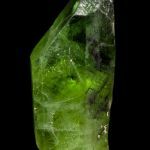 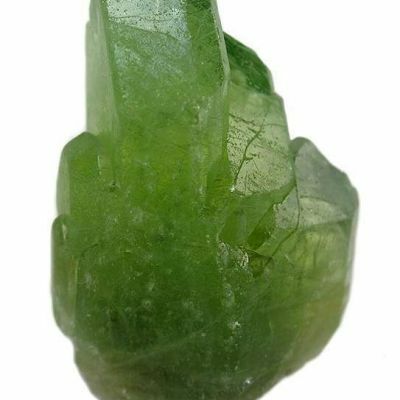 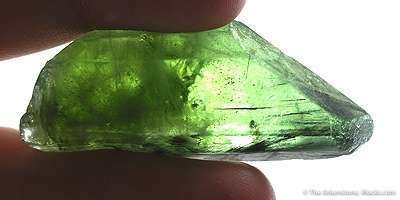 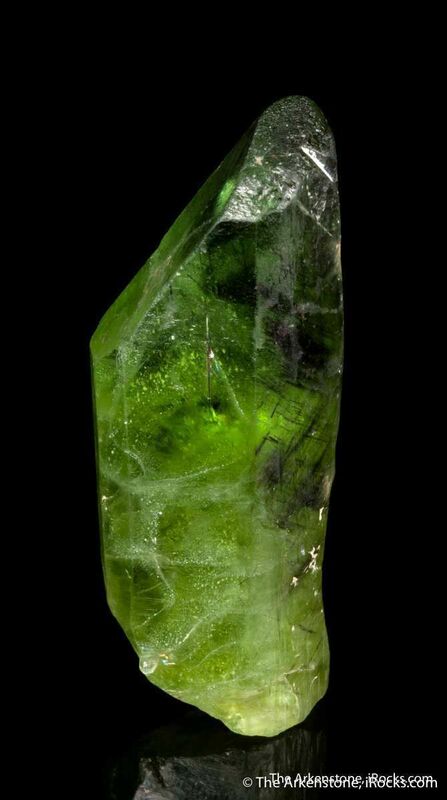 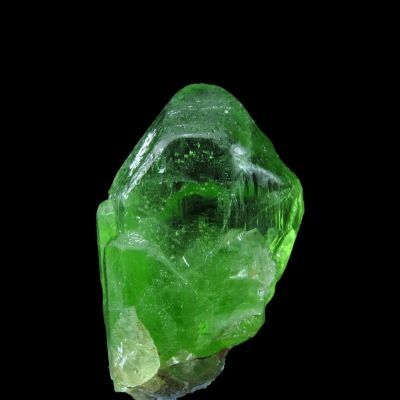 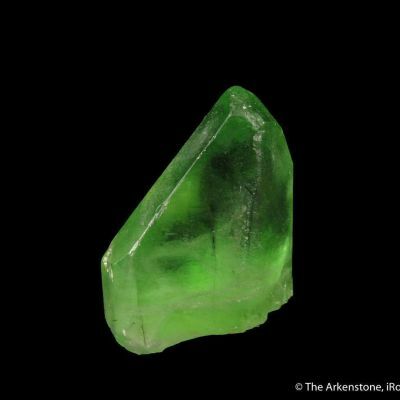 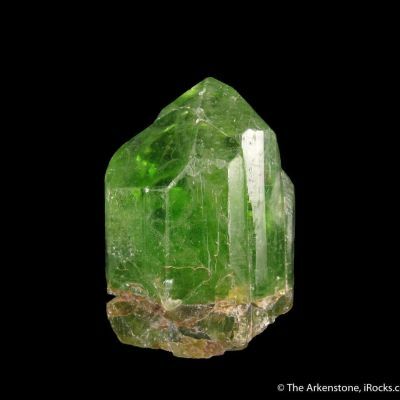 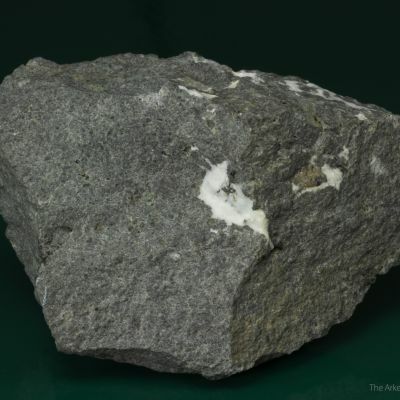 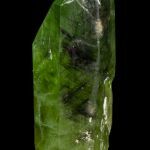 A sharp, well formed, transparent, lustrous, lime-green, peridot crystal has included sprays of acicular, black, ludwigite, a rare magnesium, iron, borate. 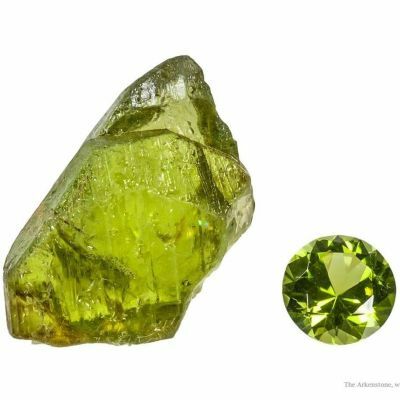 The peridot is transparent, lustrous, and a rich green color. 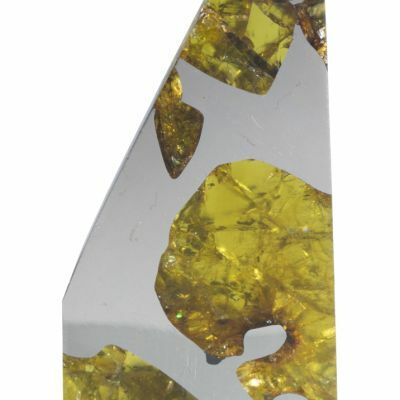 The gem weight of this specimen is 34 grams. 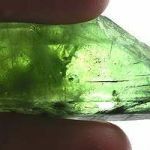 In PERSON it is very dramatic! 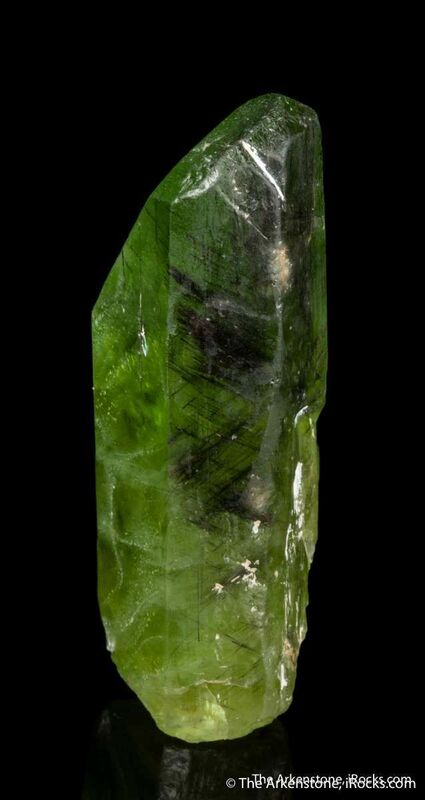 the size is also quite good, combined with the sharpness of the termination. 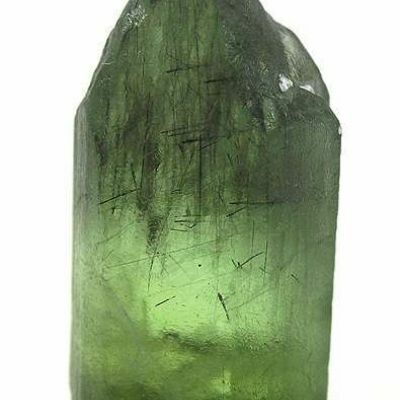 This is an exceedingly fine gem crystal for the species with good color, super termination, and a bit of extra interest value - all at what I feel is a really good price.